Vibrant Vivah is back again!!!!!! Praveg Communications Private Limited organizes Vibrant Vivah 2015. The event is on 18, 19 and 20 Nov. at GMDC Ground, Ahmedabad. 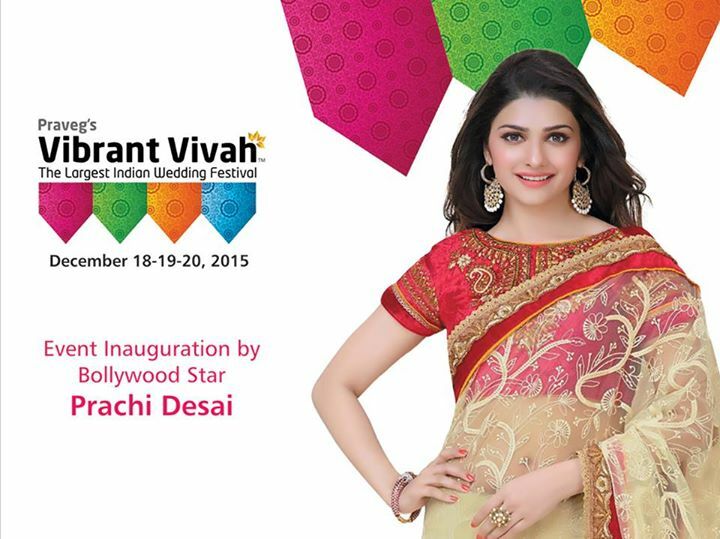 The inauguration will be done by the bollywood star Prachi Desai. Vibrant Vivah is the largest wedding exhibition to be held in Ahmedabad. All major brands and renowned designers dealing in wedding related products showcase their latest creations in this mega Exhibition. Prachi Desai is an Indian Bollywood actress and television star. She started her career with the movie Rock On in 2008. She has done one Serial name Kasamh Se and many movies. She was last seen in the movie Policegiri as Sehar in a lead role opposite to Sanjay Dutt. 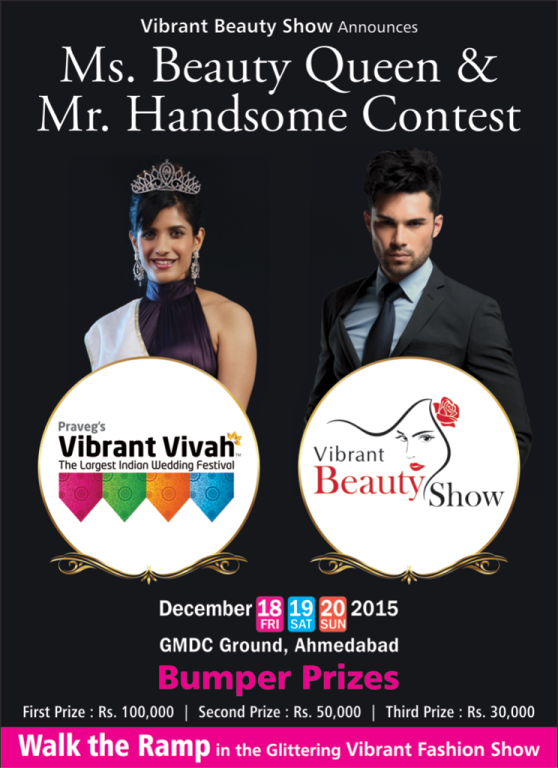 In vibrant vivah 2015 has announces there will be Ms. Beauty Queen and Mr. Handsome Contest winners will be selected. Walk the ramp in the glittering Vibrant Fashion Show. The winners will be given prizes as given below. In Praveg's Vibrant Vivah - Global Indian Wedding Fair 2015 you are going to find each and every item for marriage under one roof. Vibrant Vivah 2015 will be an ideal platform for participation by leading local, national and international brands in the categories of: Diamond & Gold Jewellery, Wedding Sarees & Dresses, Fashion Jewellery, Groom Collection, Wedding Cards, Caterers, Wedding Photographers, Fashion Designers & Boutiques, Beauticians & Cosmetics, Tours & Travels, Florists, Hotels & Resorts and Gift Articles. In the largest wedding Vibrant Vivah 2015 all the things related to wedding like costume, jewelry, accessories etc item of new style and fashion will be available. Indian Wedding Festival 2014 will having Over 150+ Stalls, 10,000+ Products, 50,000 + Visitors so come and be a part of it either by booking stalls or by visiting the grand wedding exhibition. Exhibitors of Vibrant Vivah 2015 are Jay silver, Milind RakshiLal Soni, Advi - kids ethnic wear, Zaveri Brothers, Kankotri.in, Gopal Emporium, ESHYL, R.H.ZAVERI. All are invited to come in the largest wedding Vibrant Vivah 2015.